Fantasy and reality have become locked together in a bewildering and surreal epistemological dance. They spin across the floor at such a speed that their complex moves leave us struggling to tell one from the other. In the world of entertainment, ‘reality’ is king. Ordinary people from normal backgrounds are thrown into artificial situations and manipulated before our eyes so we can observe their behaviour and judge their authenticity. In the end, we are invited to participate in a democratic exercise to choose who most pleases or displeases us. In the soap opera, we have entertainment with the objective of emulating life realistically enough that it resonates with our own. The narratives push the boundaries of belief, but the actors are often mixed up with their characters by people in the street. Screen villains are abused by passers-by and screen victims receive sympathy from strangers for their scripted fates. Over on the other channel, dominating the news, is The Donald Trump Show. This is an epic saga about a character who defies belief, elected against all reasonable expectation to be the most powerful man in the world, on a reputation he built by pretending to be a successful businessman on a reality TV show. 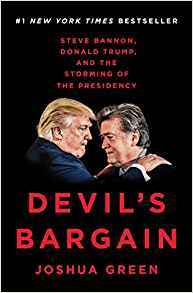 In his book Devil’s Bargain, Joshua Green alleges that two Trump advisers conceived Trump’s infamous wall as a metaphorical aide memoire to remind their forgetful candidate to keep pushing the issue of immigration on the campaign trail. The book goes on to suggest that Trump misunderstood, took it literally, and accidentally turned it into a campaign promise. As of this moment, this so-called metaphor has succeeded in shutting down the US government and is close to triggering a state of emergency, allowing the President to over-ride legislature in the world’s most carefully balanced democracy. Then there is Brexit. Thanks to a campaign that sold a fantasy to an electorate still morally outraged by the financial crisis, the UK Government is trying to bring an impossible dream to life, to implement an ideological concept through legislative means. And, as this week’s vote showed, it’s failing. To bridge the reality gap, I believe that officials recently orchestrated a fake traffic jam by hiring 89 lorries to clog up a Kent A-road. Presumably the aim was to create the illusion of a cataclysmic problem and to generate front page pics to support the Government’s case. In fact, it merely revealed a government so overwhelmed that its judgement has become deeply muddled. This is reminiscent of absurd propaganda seen in totalitarian regimes. When the State has centralised control of information, falsehoods can be pumped out and citizens are expected to deny what they remember to be true. However, we face the opposite issue: massive decentralisation of information. 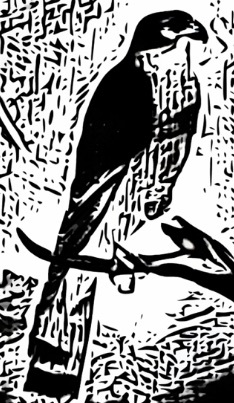 Yet, paradoxically, we suffer comparable uncertainty about what we can trust to be true. One reason is the diminishing status of authoritative news sources. Until quite recently, many of us watched four TV channels, read one newspaper and listened to two radio stations. In general, we trusted these outlets to tell the truth. Rupert Murdoch’s 1980s tabloid revolution changed this, normalising largely made-up stories about real people ‘for fun’. The internet furthered this by creating a world comprising countless unregulated information sources by which any possible viewpoint can be supported. If you no longer trust public figures (journalists, politicians, businessmen, the police) to tell you the truth, and every viewpoint seems to find public expression, you fall back on your instincts. Personal belief reigns over factual analysis in an era when we process so much information and the vast majority of what we ‘know’ is received secondhand. The responsibility for dealing with this, though, lies with us. There is good information out there. There are reliable sources. There are good journalists. We just have to think harder, ask critical questions, do our homework, check where information comes from, factor in bias, and resist the temptation to lapse into cynicism and apathy. In short, we need to be better citizens.